The dollar, the epitome of American capitalism and commercialism, has a surprisingly un-American origin. The word comes from the Low German daler, from the German thaler, itself an abbreviation of Joachimsthaler, which was a coin from the 1500s minted from the silver mine in Joachimsthal in Bohemia (now the Czech republic). English colonists in America used the word when referring to Spanish coins, and it was in such widespread use among British colonies at the time of the War of Independence that it was adopted as the official name of the US currency in the 18th century. Thus, from that obscure silver mine in Bohemia, the mighty dollar travelled westward to become the global icon of wealth and capitalism that it is today. 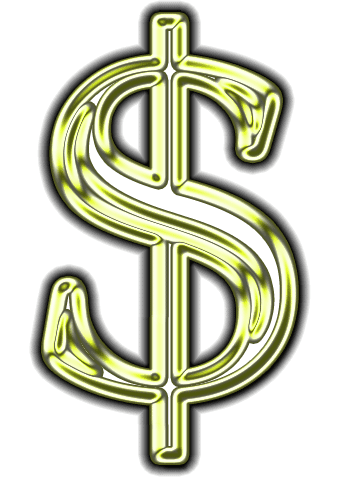 Talking of icons, where does the dollar sign ($) come from? There are a number of different theories, but the most plausible is that it evolved from the symbol for the Spanish American peso, or piece of eight, which was Ps. Gradually, the P and the S started to be written together, until it looked as it does today. Do please donate your most valued comments into the contribution box below. Amazing wonderful article! I have been looking a searching for such thing. I needed this info, thank you for sharing this. I feel so different after reading this. Many ideas have been made about the origin of the dollar symbol. I heard that the word “dollar” was derives from the Flemish or Low German word “daler”. The term was later applied to a coin used in the Spanish-American colonies and also in the British North American colonies at the time of the American War of Independence. The symbol used to indicate the units of various currencies around the world. The tale behind this well-known monetary symbol begins not in America but in Europe. Actually, this symbol was used for another form of currency before the U.S. dollar. The dollar sign was just the peso sign used again for a different currency. It is in fact the same as the peso sign used in Mexico. Though the dollar and peso symbols are inextricably linked, the origin of the word “dollar” is rooted in elsewhere. I found this article very help. I really needed this. I am so overwhelmed by this article! Thank you for the list of knowledge that is needed for me to begin and move forward in my write up. I am trying to write article on about “dollar”, your post is inspiration for me to finish my write up. I am looking forward to read more information about the topic.